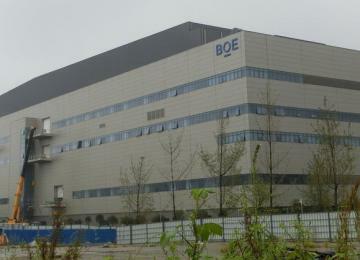 Last month we reported that BOE aims to start producing flexible OLEDs at its new 6-Gen B7 fab in Chengdu by the end of October 2017. A new report from Korea's ETNews sheds some more light about BOE's plans. The annual capacity of the B7 line, when complete, will be about 90 million smartphone sized displays (45,000 monthly 6-Gen substrates). 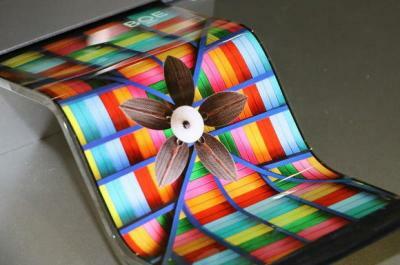 According to ETNews, BOE aims to produce 5.5" flexible OLEDs at first, and then add a 5.99" display in November. BOE's initial capacity will be very low - around 10,000 panels per month. ETNews further reports that Huawei will be BOE's first customer for its flexible OLEDs. Last month it was reported that Huawei aims to sign a long-term strategic supply agreement with LG Display for flexible OLEDs. In addition to this fab in Chengdu, in October 2016 BOE announced another 6-Gen OLED fab, in Mianyang. The Miangyang fab will also have a similar capacity of 45,000 sheets per month and will enter production in 2019. Total investment in the Miangyang fab is estimated at 46.5 billion yuan ($6.87 billion USD).